© Provided by AFP Ahmed Assad Barakat (in handcuffs) has been described by Washington as a "global terrorist"
Assad Ahmad Barakat, 51, was arrested on Brazil's three-way border with Argentina and Paraguay close to the world-renown Iguazu Falls, accused of carrying fake identity documents, federal police said. "Members of the Barakat Clan made purchases worth $10 million, without declaring their value, at a casino in the Argentine city of Iguazu," Brazilian police said, "with the view to laundering the organization's money." The money was allegedly destined for Hezbollah's coffers, but the funds and other assets were frozen by Argentine authorities, Brazilian police said. Barakat spent six years in a Paraguayan prison for tax evasion but was released in 2008, after which he moved to Brazil. 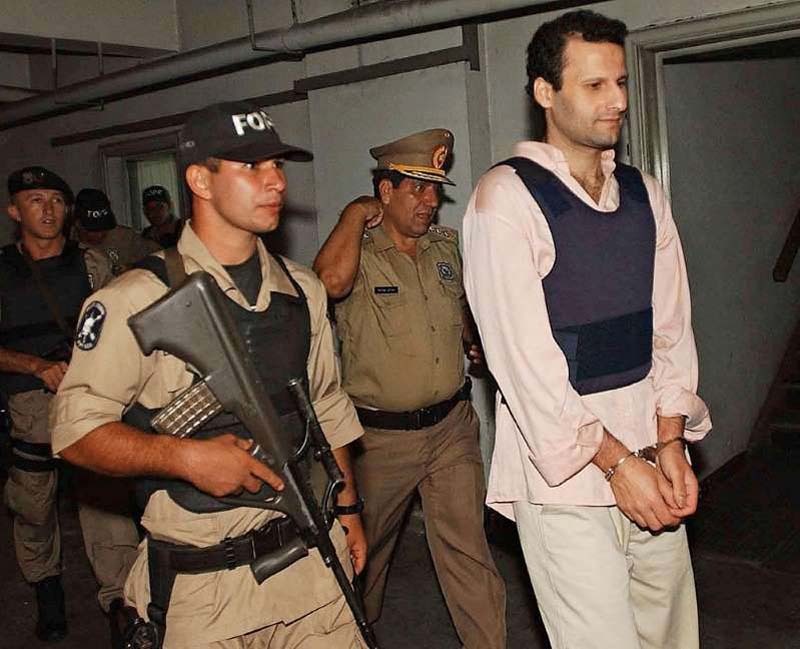 In 1989 he had obtained Paraguayan nationality but was stripped of it in 2003 following his conviction. Yet in April he was issued a Paraguayan passport, according to Asuncion, which says it is investigating that case. In 2006 Barakat was added to a US list of individuals and groups operating in the triple border area and financing Hezbollah, which has close links to Iran's regime. The US Treasury Department described Barakat as a "global terrorist," and said his network was a "major financial artery to Hezbollah." Around one million people live in three cities that converge on the triple border, an area US officials suspect of harboring dormant Islamic terror cells. As well as a military group, Hezbollah also has a political wing that features prominently in Lebanon's governing coalition. While Washington considers the whole group a terrorist organization, the European Union only designates its military wing as such.